In 2013, a resident at Homefield Gardens Condominium Association was attacked by another resident’s pit bull. She brought suit against her Condominium Association alleging negligence, among other theories of recovery. Her allegations included that the Condominium Association had a duty to create rules regarding resident safety, that they had a duty to enforce the rules they created and specifically, failed to perform regular inspections of all buildings to ensure compliance after undertaking to enforce the rules. The case was initially dismissed on summary judgment holding the Condominium Association owed no duty to the resident and therefore was not liable. That decision led to the appeal in Taticek v. Homefield Gardens Condominium. 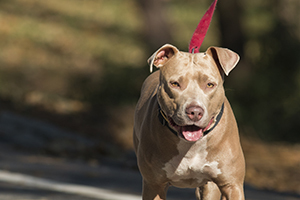 Further, the Condominium Association adopted guidelines for pet ownership including a limitation on the number of and size of dogs owned by residents, which provided that owners could have one dog that weighed not more than 25 lbs. Even though the Condominium Association did create rules regarding animals, the court held that they were not required to create them under the Declaration. The Declaration gave them the power to create rules regarding the safety of residents; it did not require them to do so. However, since the Condominium Association did create rules regarding dog ownership, it was required to enforce those rules. Specifically, the declaration gave the Condominium Association the power to create rules for the residents “health, comfort safety, and welfare.” The rules and regulations created provided that there would be “regular inspection of buildings, vehicles, etc. to ensure and enforce compliance.” Through the rules that the Condominium Association established, it created a duty that it was required to enforce. The Condominium Association argued that they did not know about the dog but the appellate court held that the knowledge of the dog being kept in violation of the rules and regulations was a question that went to whether or not the Condominium Associations breached their duty, not whether the duty existed. The appellate court further held that the creation of the rules and the hiring of a property management group to enforce those rules was an undertaking of a duty under Section 323 of the Restatement of Torts. To make a Section 323 claim, the defendant must have undertaken the rendering of services to the plaintiff and that the defendant must have recognized theses services as necessary for the protection of the plaintiff. The court held that the Condominium Association did undertake a duty to enforce the rules when it created them and hired the property management company, but whether they exercised reasonable care in that undertaking was a question for the jury. The question of whether or not the Condominium Association met the standard of ordinary care in enforcing the rules they created or in performing the duty they had undertaken in creating the rules was a question for the jury. The court remanded this case for further proceedings. It is important for trustees of all Condominium Associations to be aware of the powers and duties that are created under their declaration, bylaws and rules of regulations, as well as through statues. It is equally important that Condominium Associations and their board of managers be aware of any duties they may be creating for themselves in the exercise of such power.